C. F. Knight’s approach to project management is based on a simple principal that all parties involved work toward a common goal to achieve excellent quality and value for the owner. We strive to build trust through communication and transparency with all our customers. We staff all our projects with a full time experienced Superintendent, along with a qualified Project Manager. When the complexity of a project becomes apparent, we have the experience and knowledge to solve critical issues. We work closely with both the Architect and Interior Designer from the inception of a project to help define the Owner’s objectives and arrive at a guaranteed maximum price. C. F. Knight’s staff and management recognizes the importance of cost and scheduling as it relates to value. We also realize the many hours of time an Owner commits to the process of selecting materials and how important it is to make this a pleasurable experience for all parties. 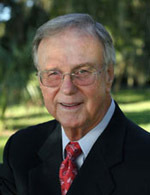 Finley founded C. F. Knight in 1978 after five years of construction experience in South Florida. He brings four decades of residential and commercial experience to the company. As a Jacksonville native, Finley has built the company with the philosophy of training and hiring experienced construction managers and giving them the independence they need to perform their responsibilities. All of our managers understand that our reputation is our most important asset. 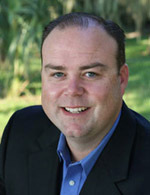 Jon has overall management responsibility for all of C. F. Knight’s construction projects. He has developed a keen understanding of how to produce a quality project for his clients through his management style. Jon has the ability to develop and manage construction teams to ensure successful performance and owner satisfaction. Jon is a graduate of the University of North Florida with a Bachelor of Science in Building Construction. He is a Certified General Contractor in the State of Florida, and joined C. F. Knight in 1999. Jon and his team are responsible for making C. F. Knight the top residential contractor in the Jacksonville area.